There’s an unwanted guest in your home. It welcomes you each time you enter a room; it even greets your guests. 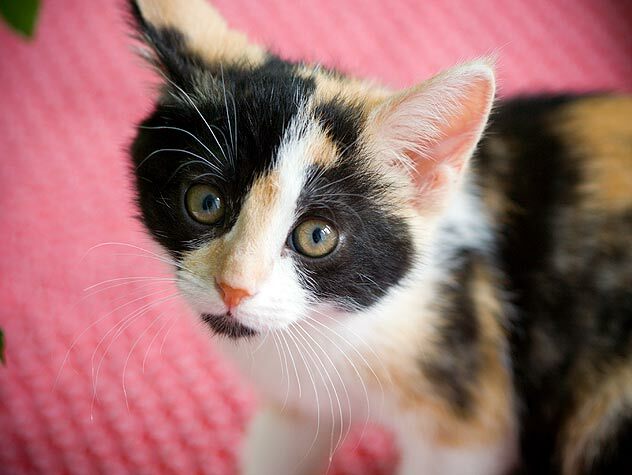 No, it’s not your beloved kitty; it’s the odor of her urine. Just because you have a cat doesn’t mean that your house needs to be filled with ugly, torn-up furniture and scratched-up carpets. 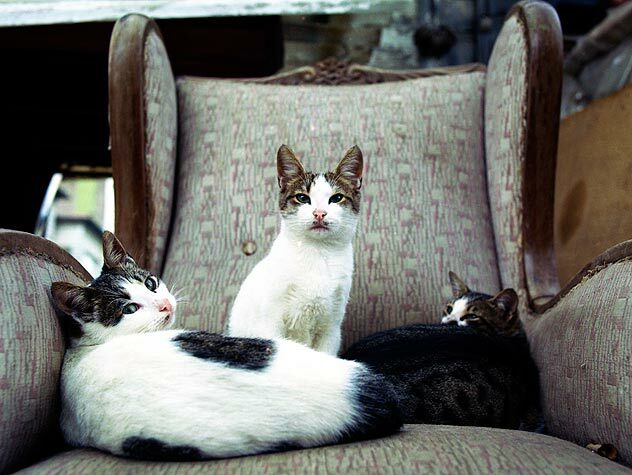 The trick is to design a cat-friendly home where both you and your feline friend can be comfortable. Living comfortably with a pet despite being allergic to him requires a good understanding and adherence to rules. Learn those rules here. Gallery: 13 Cool Cat Tattoos! 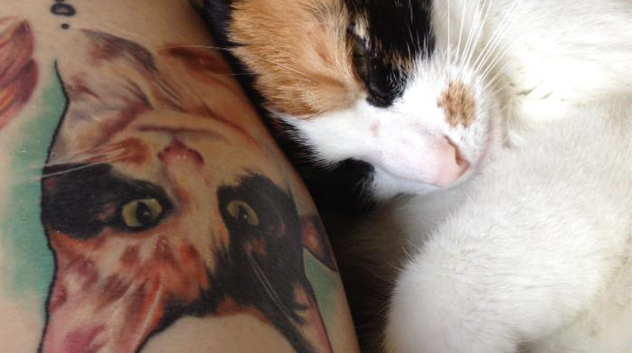 We asked our Facebook fans to show us the coolest cat tattoos around — and they did! Check out our favorite 13. 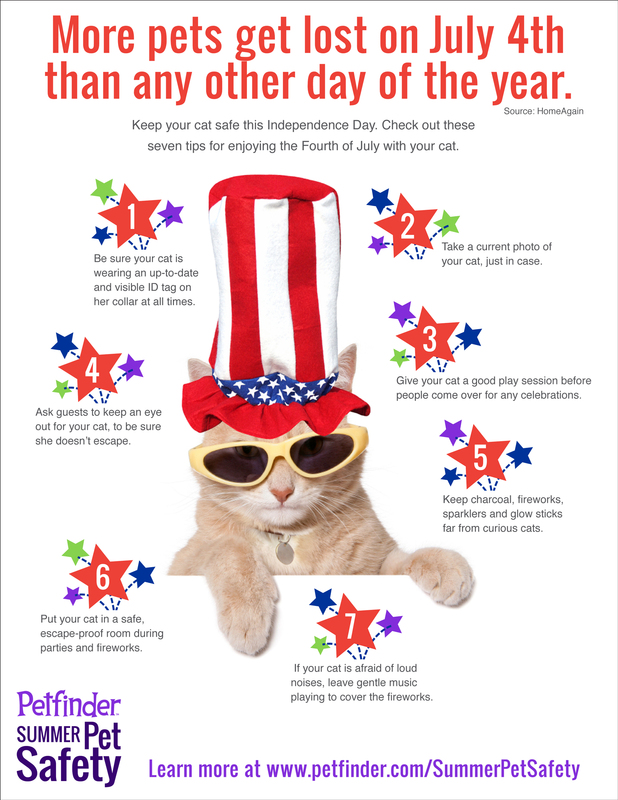 More pets become lost on July 4 than any other day of the year. 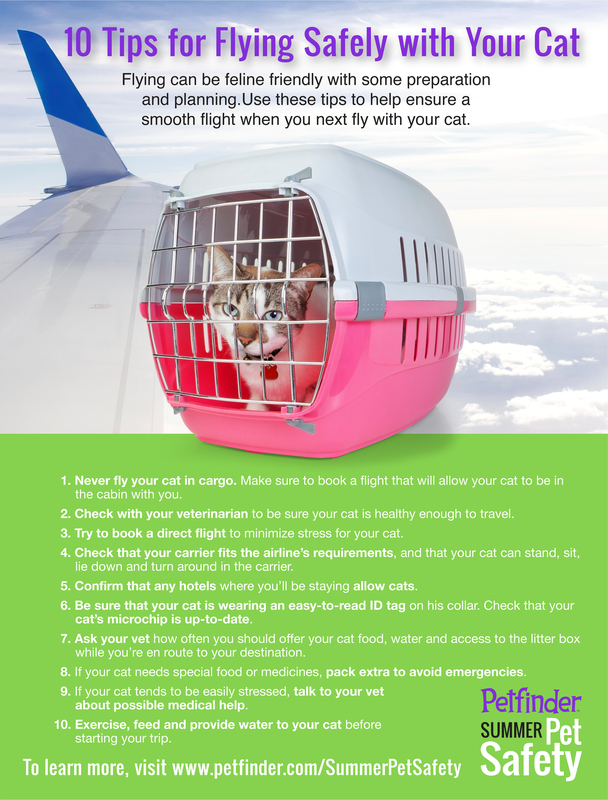 Share these tips to prevent pets from becoming lost or ill.
Meet some of the cats who help out behind the scenes of Petfinder! 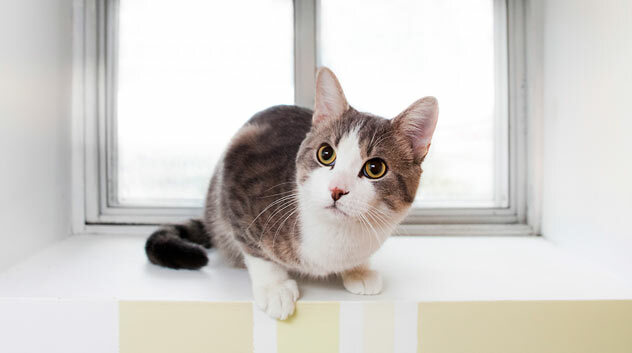 Under each cat’s description is the name of his or her Petfinder staff person. We hope you enjoy this peek into our lives! 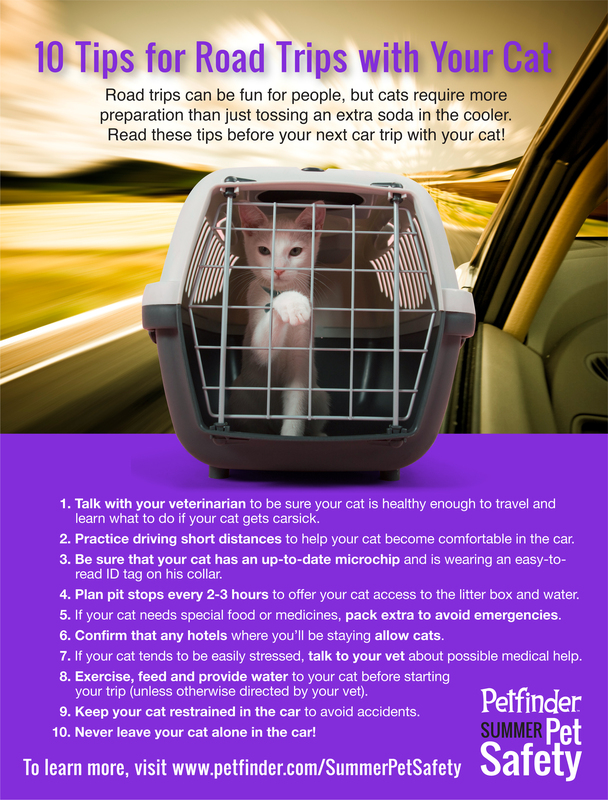 Getting your cat to the vet can be tricky if your cat hates the car. 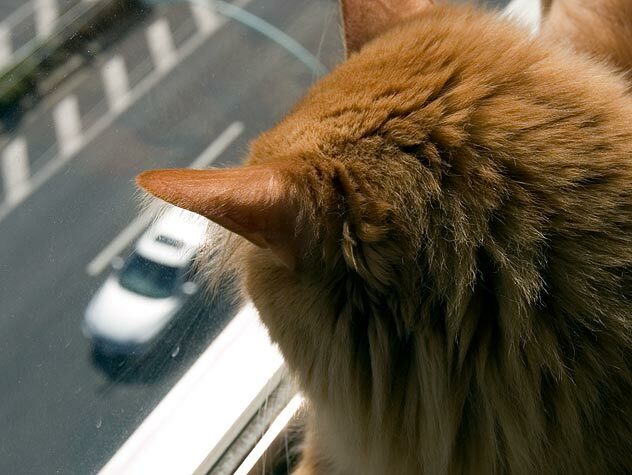 Check out these tips for creating positive car associations for your cat. 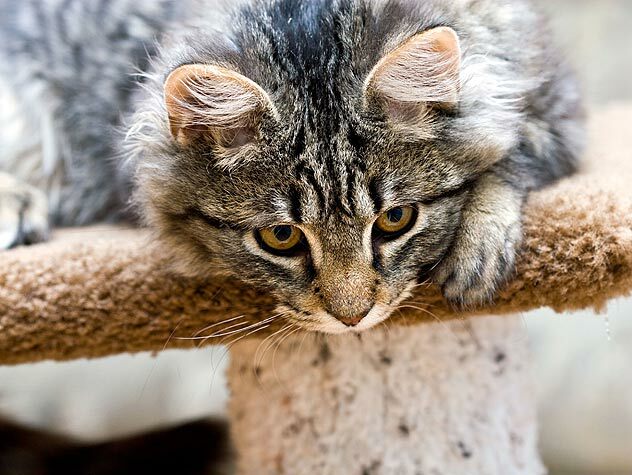 Nurturing a cat is soothing and fulfills that certain need for humans to be caregivers. 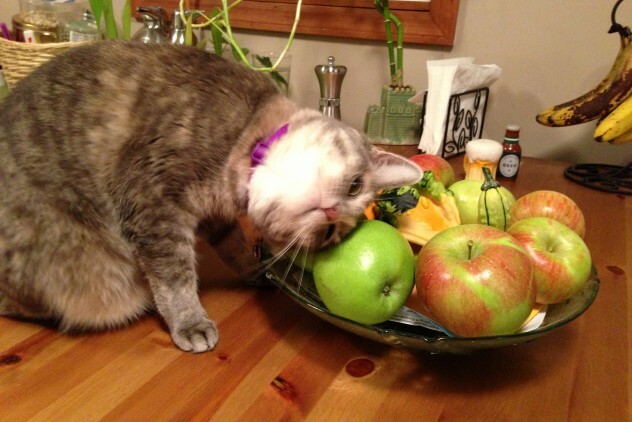 Find out how having a cat is good for your health!